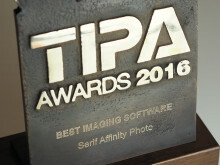 Professional image editing app Affinity Photo has been presented with the prize for ‘Best Imaging Software’ during the prestigious Technical Image Press Association (TIPA) Awards ceremony at Photokina 2016. 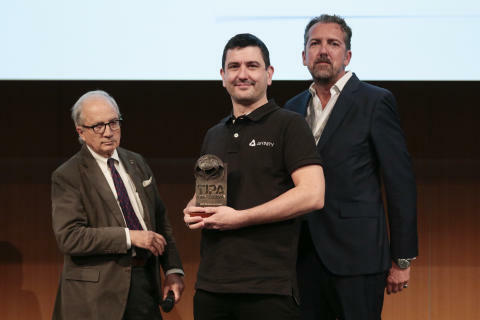 Ashley Hewson, Managing Director of Affinity maker Serif (Europe) Ltd, was invited to the exhibition in Cologne, Germany, to receive the sculpted bronze trophy from TIPA, which represents many of the world’s leading photo and imaging magazines. 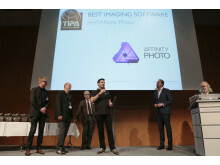 Ashley said: “The annual TIPA Awards are renowned as the most influential photo and imaging product awards in markets around the world. 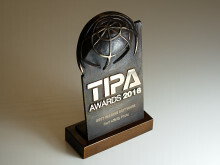 TIPA Chairman, Thomas Gerwers, added: “A TIPA Awards endorsement is the highest accolade for any photo and imaging product. “Affinity Photo is an affordable, non-subscription based software that offers just about every option that enthusiast photographers could need for image processing and creative effects. 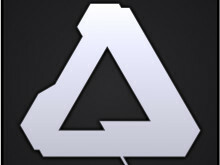 Shortly to receive another major free update, Affinity Photo for Mac is an acclaimed professional photo editing software suite with rave reviews from thousands of users. 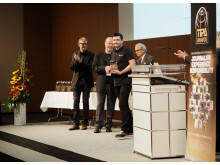 Live retouch tools work in real time and its speed means there’s no waiting to see the results. Non-destructive editing, raw processing and end-to-end colour management are standard, so Affinity Photo has all the accuracy and quality necessary to make beautiful photographs spring to life. 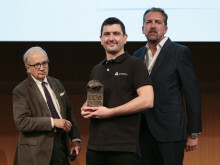 Based in Nottingham, UK, Serif also plans to launch a Windows version of Affinity Photo before the end of this year.